Heh, looks like the MSG150 crew is at it again…. 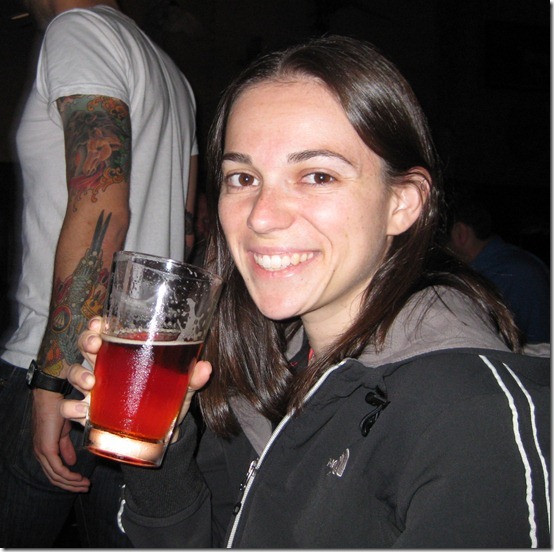 This entry was posted in Food on August 30, 2009 by kenny. 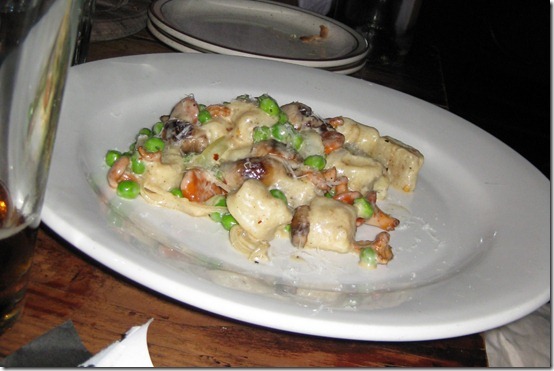 This entry was posted in Food on August 28, 2009 by kenny. I don’t eat a burger often. 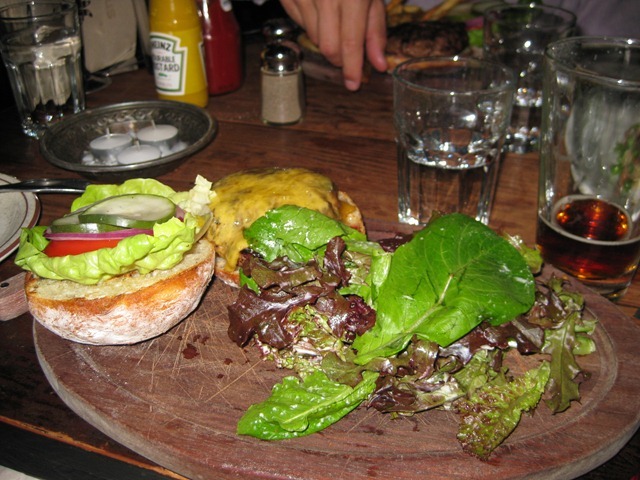 But I do get the occasional craving, and lately a number of people have recommended the Smith Burger. Smith Restaurant is right around the corner from me, though I’d only stopped by for a beer and appetizers so far. Tonight, at my visiting cousin’s prompting, we stopped by for dinner. It’s a shame that I waited so long! 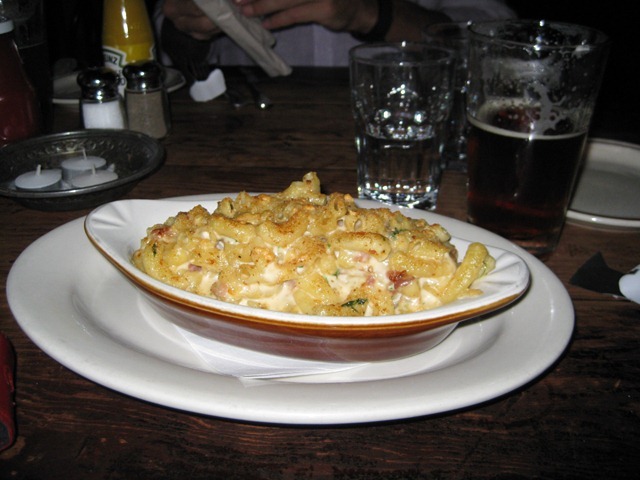 Smith’s macaroni and cheese is solid comfort food. They always mix something in with the macaroni. Last time it was peas. Unfortunately for me their latest incarnation was macaroni and ham (I don’t love ham), so most of the dish was left for my cousin to enjoy. Then it was burger time for me. I haven’t had a good burger on the hill since 22 Doors lost Trey (and his associated quality control). Fortunately Smith has stepped up to the plate. The medium rare burger was dark pink inside, slightly charred on the outside, and served on a freshly baked roll. Lauren won best dish of the night. 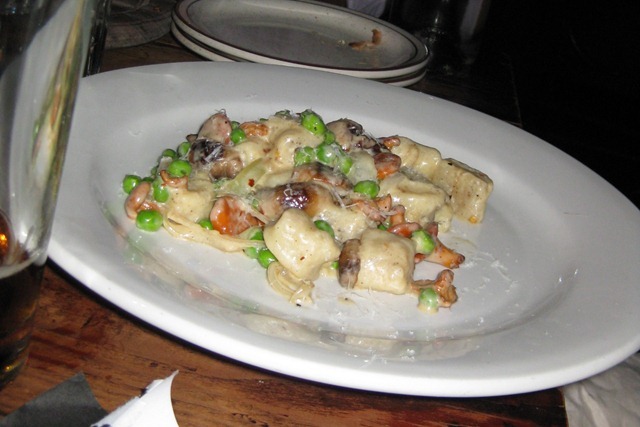 She had the special – gnocchi with wild mushrooms, peas and pecorino in a light cream sauce. It’s not often that you can saddle into the local pub and get a dish you’d expect to find at the likes of the Pink Door. Cheers to that! This entry was posted in Food on August 26, 2009 by kenny.